It's the first time an Oregon city has sought permits for electric scooters, which are popping up in dozens of cities around the country. An electric scooter ride through parts of Portland could be in your future. The city began this week taking applications for a pilot shared electric scooter program. The city's Bureau of Transportation began the permit process Tuesday, July 3. Companies that want to provide the service have until 11:59 p.m. Wednesday, July 11, to submit applications for a 120-day test ride. It's the first time an Oregon city has sought permits for electric scooters, which are popping up in dozens of cities around the country. The city's pilot project could extend from July 23 to Nov. 20, and will be capped at 2,500 scooters around the region, with the provision that companies deploy about 20 percent of their fleet each day in East Portland. Portland's Bureau of Transportation officials will keep an eye on the test rides, making sure safety concerns are met and analyzing trip data and surveys to determine the project's success. Scooters can travel no faster than 15 mph, and cannot be operated on sidewalks. Children younger than 16 must wear helmets when operating the scooters, according to state law. Like bike-sharing programs, riders pay a rental fee for one-way trips on the electric scooters. But, unlike bike-sharing programs that have racks of rental bikes scattered around the city, most electric scooters companies use smartphone apps to rent and ride, meaning the scooters aren't tethered to racks and can be parked just about anywhere. 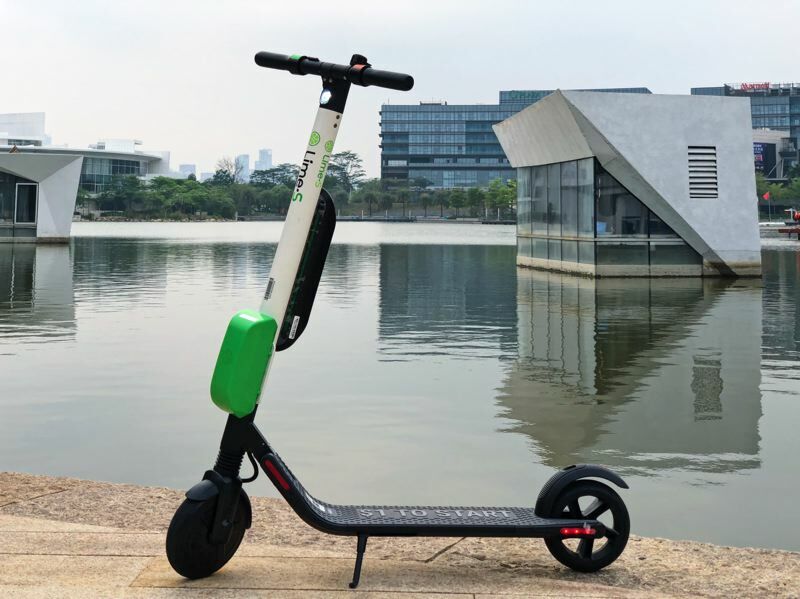 The city hopes to use the scooters as another mode of transportation to reduce automobile use and air pollution. Permit applications include about $5,250 in fees.